Heat and A/C in ONE! Whether you are looking to replace or upgrade your furnace or air conditioner, air source heat pumps are an energy efficient way to go. With a singular unit you can provide cool air for you home in the summer or heat in the winter. Modern Air Source Heat Pumps(ASHPs) can draw upon ambient heat from the outdoor air even in negative temperatures. In the Ithaca, NY climate, that means that an ASHP can heat your home or business all winter with the exception of the most frigid winter days. Keep in mind that this temperature limit is the real air temperature NOT the wind-chill temperature. With this in mind, an ASHP could be your main home or business heat source. Some of the newest technologies that will heat your home down to -13 degrees Fahrenheit (hyper-heating) can be found here. If air conditioning is what you’re looking for then these ASHPs will provide an efficient and renewable heating and cooling that will make your current heating and cooling systems objects of the past. These 2 in 1 units are the heating and cooling technology for a greener sustainable future. Are you heating with fuel oil, propane, or resistive electric? If you said yes, then you know how expensive each and every winter season can be. 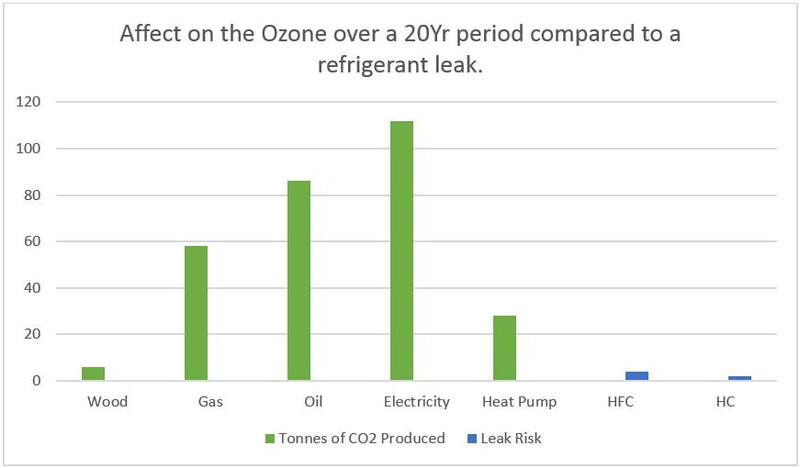 Air source heat pumps could save you hundreds or even thousands a year in heating cost. The direct savings from the energy efficient heat is not the only part about air source heat pumps that is affordable. In NYS there is financing available for residential uses through NYSERDA (New York State Energy Research and Development Authority). More information can be found here. For Commercial settings there are similar financing, but there is also a local business that installs, maintains and repairs on a subscription basis. 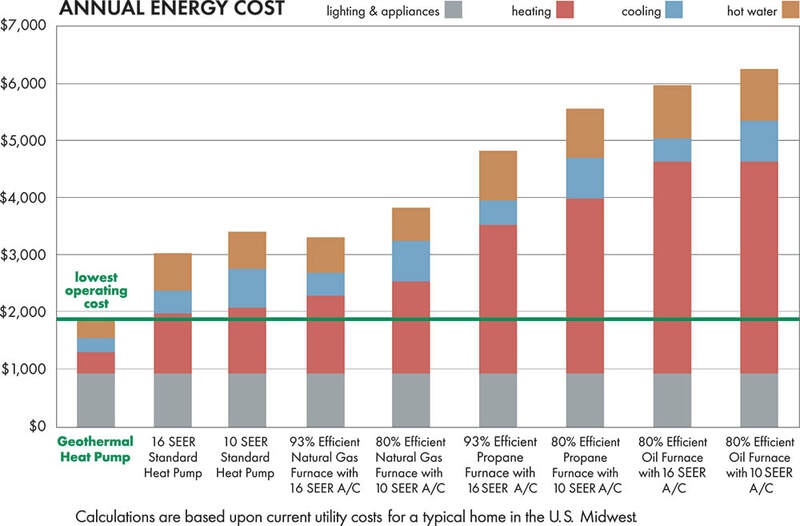 Take a look for yourself at Empower Equity, Inc.
Why are heat pumps more environmentally friendly than other heating options? There a couple of reasons. First, the basic physical principle differs from traditional forms of heating. Your traditional heater whether that be electric baseboard, propane, natural gas, or fuel oil works on the principle of using the respective form of energy to directly create the heat. A heat pump runs on electric, this is true, BUT the main physical principle is about using already existing heat and simply tranferring it to where it is most needed and/or wanted. The electric is used primarily to run the heat pump's fan and its internal controls. Heat pumps MOVE heat, they do not generate it. ​Read more here. Second, heat pumps have the ability to be run on purely renewable source, as does anything that runs on electricity. The best option for residential applications is for a heat pump to work in conjunction with a photovoltaic system (ie. SOLAR!). Heat pumps impact the environment less than other traditional heaters already, but there could be a zero carbon footprint if the electricity generated comes from renewable sources. Take a look at what Revision Energy is doing with solar-powered heat pumps in Massachusettes, New Hamphire and Maine here. This is what we need in Tompkins County! Hornellsville's is working toward installing a heat pump as their primary source of heating and cooling at their Town Hall! This goal is to replace their natural gas boiler with the new heat pump technology. As the article from The Evening Tribune states, heat pump technology is not new, however, it is new to the type of climate that we have. Newer is technology and more informed applications are making heat pump technology in cold climates more practical. The project in Hornellsville is the first of it's kind in Central and Western New York. Surrounding communities should look to Hornell as a model for more sustainable municipalities which will lead to a sustainable future for all of us. Read the full article at the Evening Tribune. Heat pump water heaters are getting more prevalent around the world. In the upcoming years we can get hot water and radiant floor heat using a renewable efficient method. If you would like more information take a look at this article from the Economic Daily Gazette.